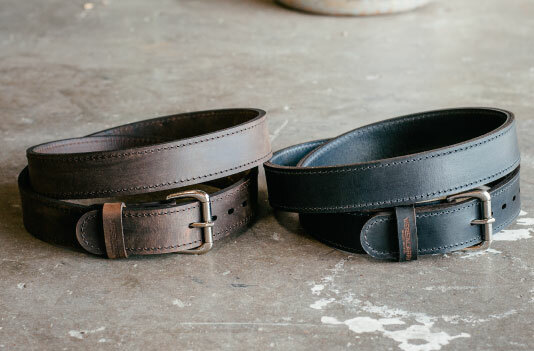 SELECT YOUR BELT SIZE: Required Choose Options 36" 38" 40" 42" 44"
Designed to be used to carry a handgun, our Double Ply Leather Belt is exceptionally sturdy and ridged to do just that, yet elegant enough to be worn as a dress belt. 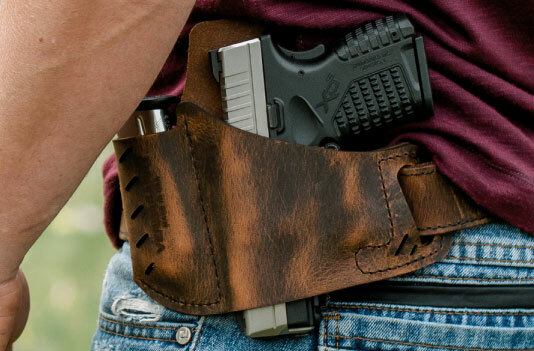 We believe in creating leather products that will last for years. That’s why any leather product we make uses Nylon thread. 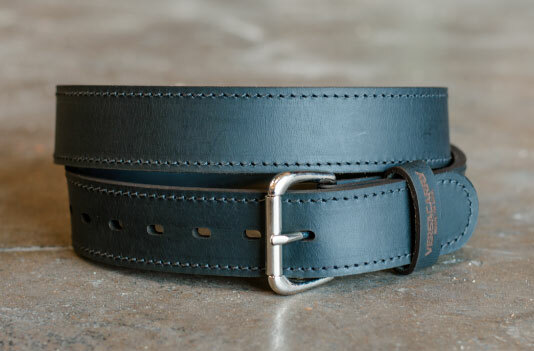 (7) adjustment holes have been incorporated into this belt. Each hole is (1) inch apart from the next, allowing the user to make easy adjustments to their desired fit. From the end of the belt (buckle side) to the center hole marks the size of the belt. That means that the user has (3) inches of adjustment both in and out. 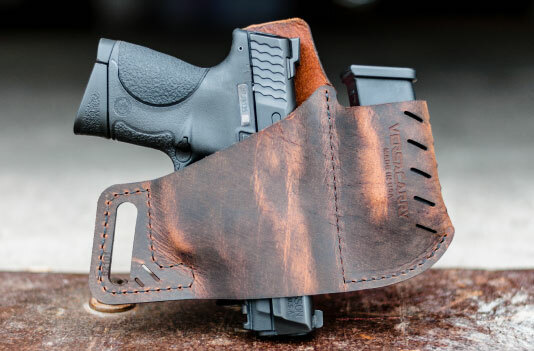 Although the buckles that we include on our belts are very nice and of high quality, you may be wanting to add your personal touch to your new belt. That is why we have designed this belt with metal snaps so that you can change this our easily. 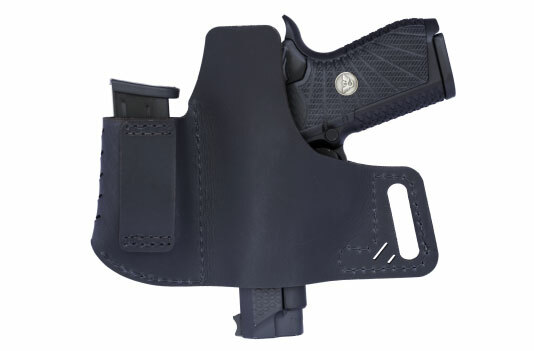 We use Nickel plated snaps and buckles because not only are they appealing to the eye but they are also non-corrosive and irritating to the skin. 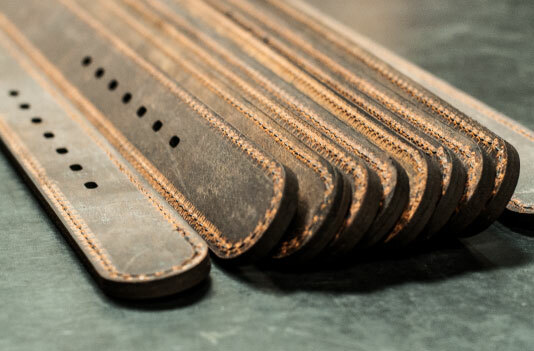 Each belt is sized base on the actual length from the end of the belt to the center hole. 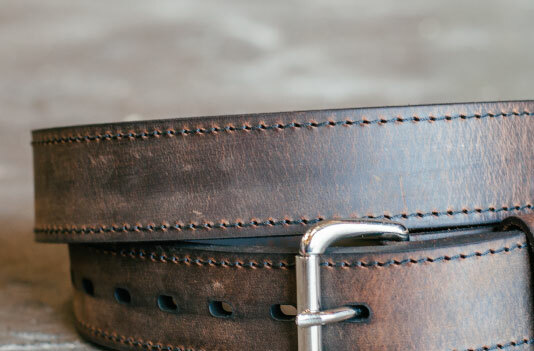 The best way to choose the correct size belt is to measure your waist. Using a piece of string wrapped around your waistline and then measuring the length of the string, is a surefire way to get it right the first time. Do not rely on just your pant size as these measurements can vary from manufacturer to manufacturer. Important Side Note: Measuring to the center hole allows the user 3" of extra adjust-ability. in and out. Warning, your pant size is not an accurate representation of the size belt you need.